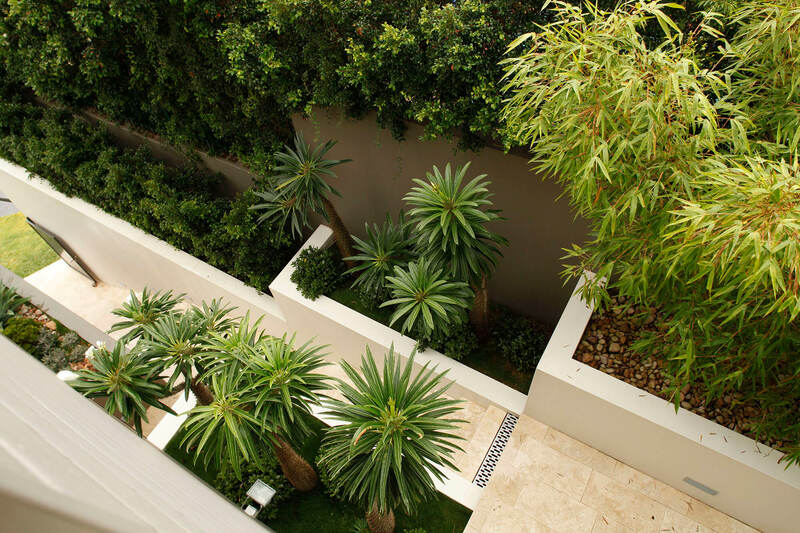 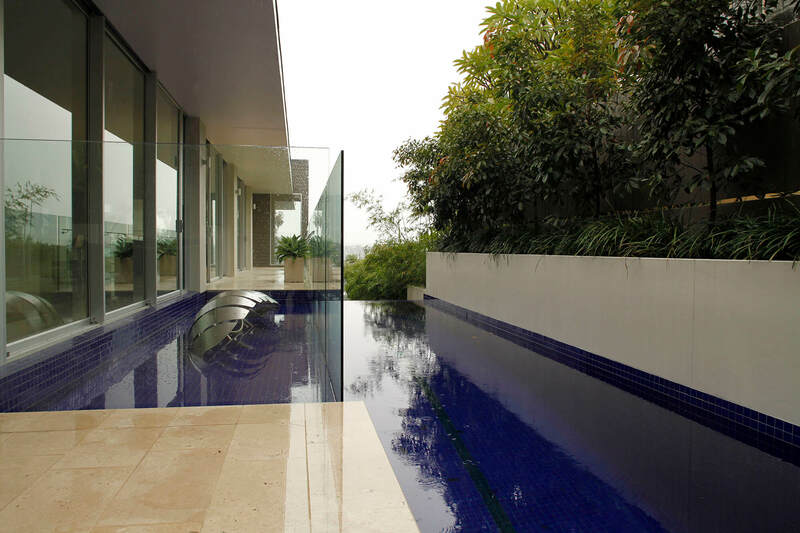 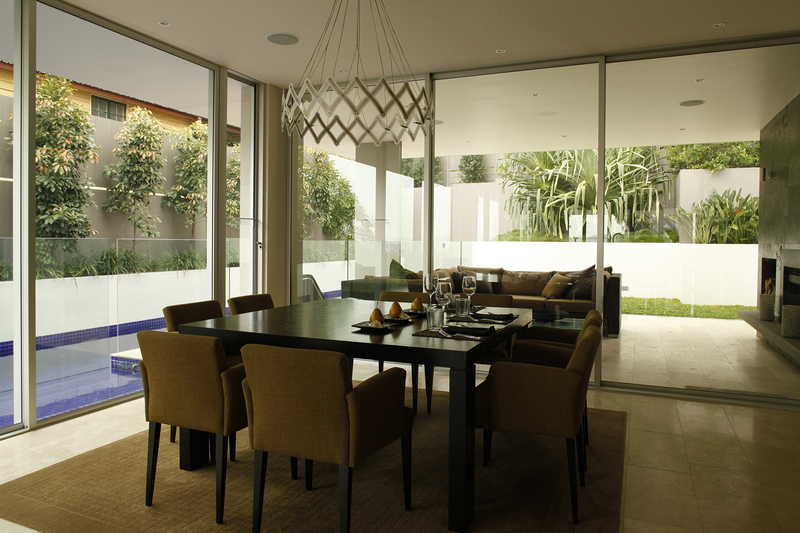 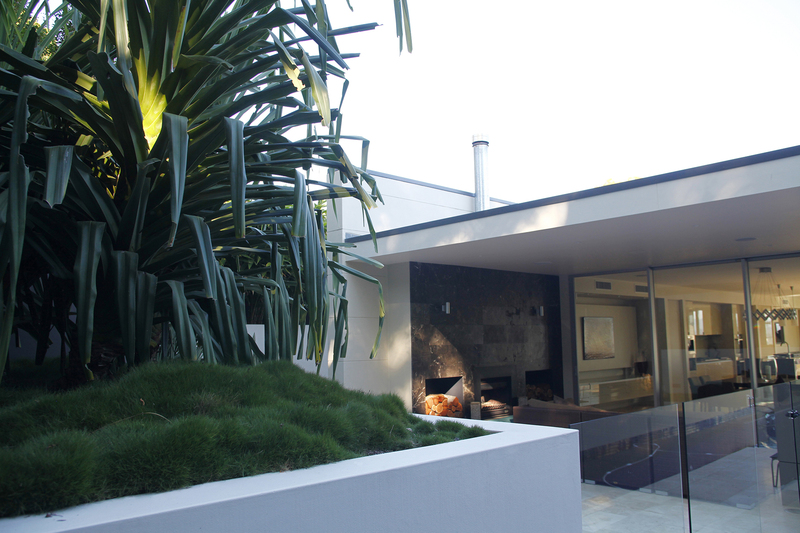 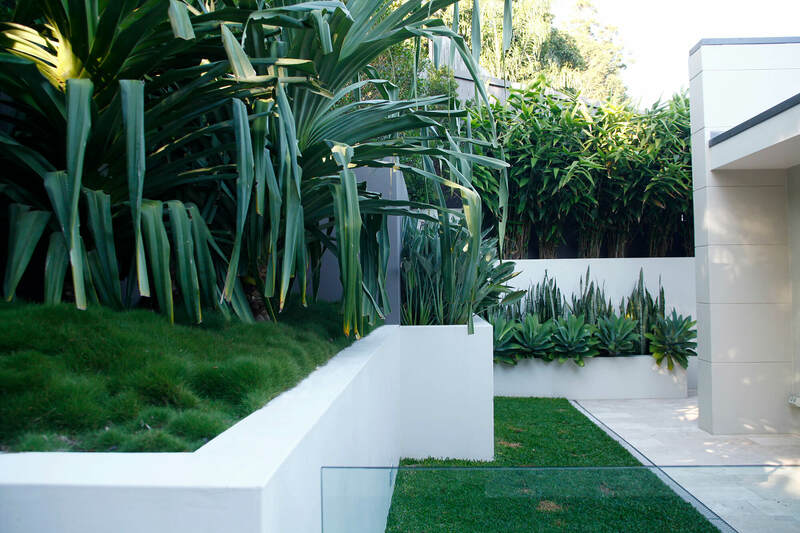 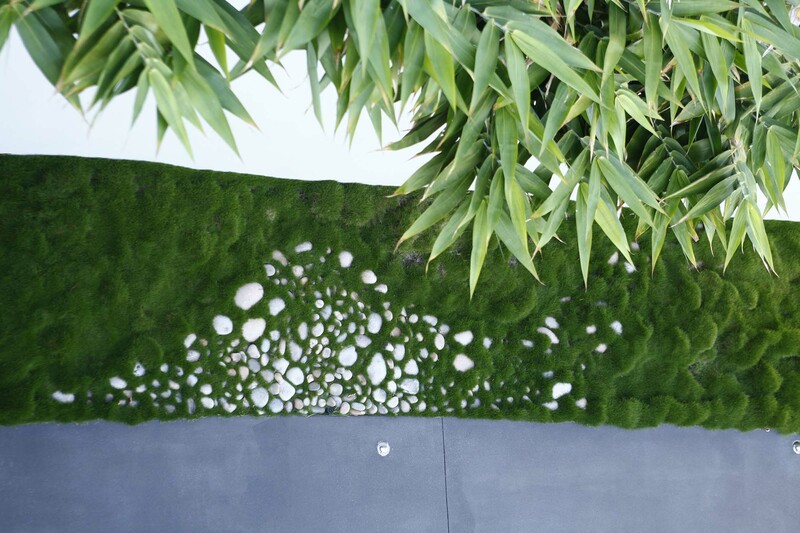 The clean lines of the home & the client’s busy life style demanded simple, low maintenance & restrained planting. 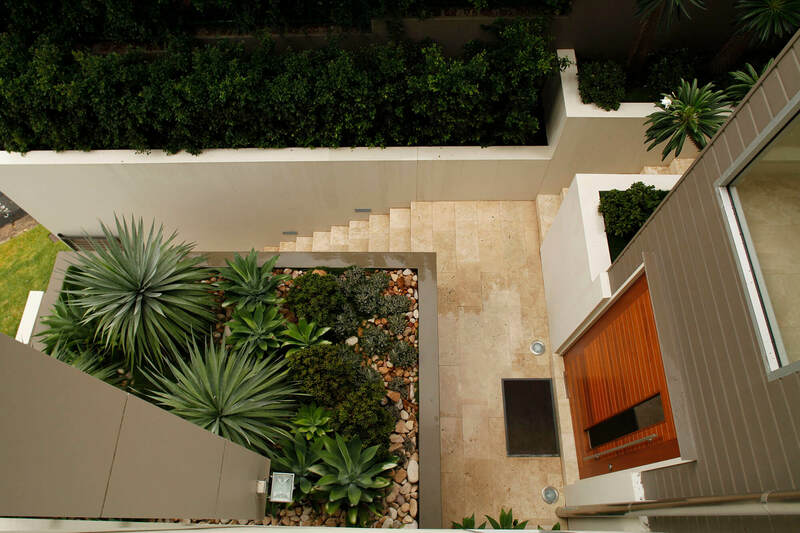 Boss created gardens to complement a well designed contemporary home on an exceptionally difficult site. 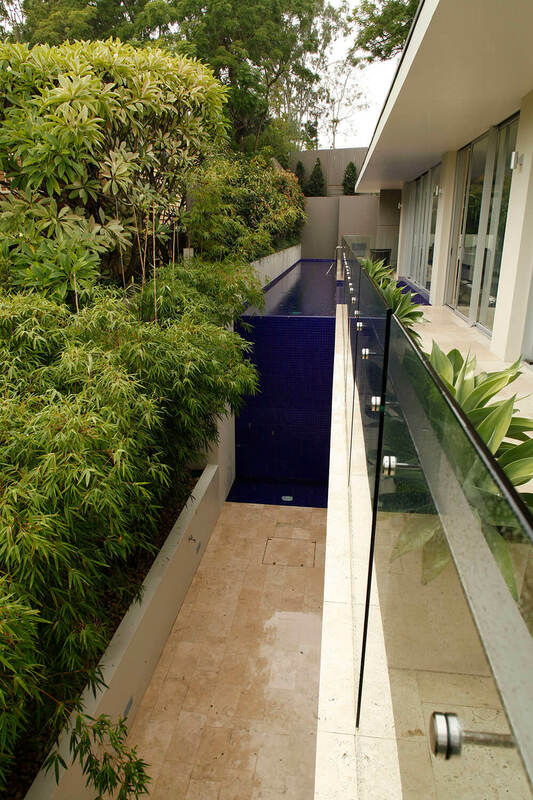 Access, limited to one metre walkways up either side, whilst challenging, did not compromise the quality of the landscaping.